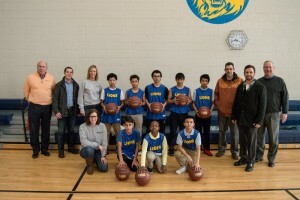 The Munger Elementary-Middle School boys’ basketball team will have a new look when they start the 2016 season: a fresh set of uniforms and new equipment donated to the team by local Detroit businesses Ferrous Processing & Trading, General Linen & Uniform and Parts Galore. 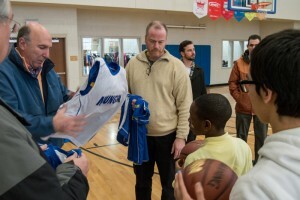 Ferrous Processing & Trading partnered with General Linen & Uniform to provide 15 new reversible jerseys for the team and matching t-shirts for the team’s head coach and assistant coach. Parts Galore is donating 15 new basketballs, one for each team member to take home and practice with. “Our boys have had to wear a mishmash of uniforms as we have not been able to afford to purchase new ones. 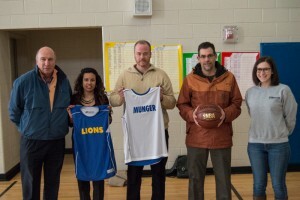 We have boys in jerseys that are too small with missing numbers, it really is unfortunate,” said Raquelle Seda, Community Schools Site Coordinator at Munger. 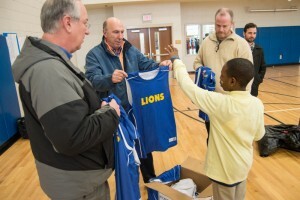 “With these new uniforms, the boys can finally look and feel like a real team,” said coach Jim Donovan. Munger, a Detroit Public School located in southwest Detroit, is over-enrolled and underfunded, with a number of students coming from low-income backgrounds. “Giving back to our communities is among the core values at Ferrous Processing & Trading,” said Sarah Hoogterp, Assistant Purchasing Manager/Regulatory Coordinator at Ferrous Processing and Trading. “Because so many schools in Detroit are lacking necessary resources, we feel the need to assist however we can. General Linen & Uniform, a local vendor that has been in the community for more than 95 years, agreed to partner with Ferrous Processing & Trading on the donation. “The chance to give back to a local school in our own backyard and to see and feel the effect of the donation on the kids is truly special,” said Tony Murell, Regional Manager at Parts Galore. 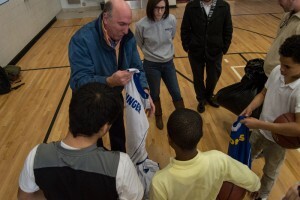 In addition to the basketball uniforms, Ferrous Process & Trading and General Linen provided 26 students in need with a new school uniform. The Munger Lions play their first game of the season this Saturday at Cass Technical High School in Detroit. Munger Elementary-Middle School is a pre-K through 8th grade Detroit Public School located in southwest Detroit. Ferrous Processing & Trading is one of North America’s premier processors, sellers, and recyclers of scrap metals of all kinds with 18 locations in North America, including its headquarters in Detroit. Parts Galore is Detroit’s original and largest self-service auto parts company with three locations in the Greater Detroit area. General Linen & Uniform Service Co. is one of the largest, privately owned linen and uniform rental and hotel service companies in North America. It is headquartered in Detroit.